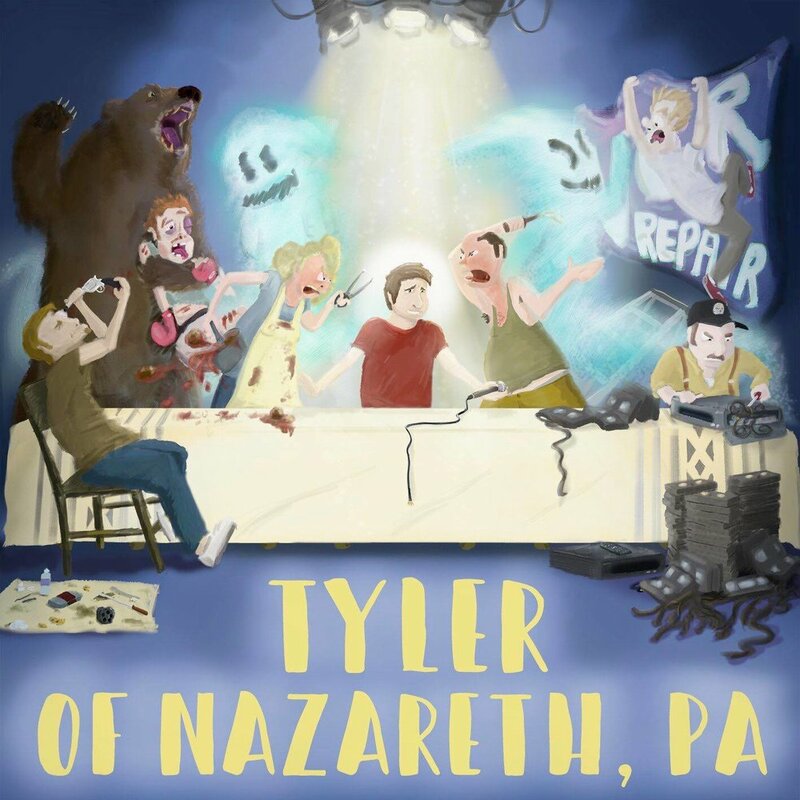 On Tyler of Nazareth, comedian Tyler Rothrock takes an inspired, unapologetic approach to waxing comically on everything from gun control and religion to having an increasingly overdrawn bank account and bonding with his mother's new boyfriend. The funniest material on the Nazareth native's debut album draws from Rothrock's own fears, diagnosis, and anxieties as he maximizes his punchlines through self-depreciation. Rothrock finds his comedic footing early on as he spends the first seven minutes of his set reminiscing about growing up in and coming back home to a small Pennsylvania town. (Rothrock lives in New York City.) "In my hometown, there's still a profitable VCR repair shop on Main Street," he cracks. During a bit called "Community College," Rothrock hilariously explains why it's better to put "some college" on a resume than trying to explain to your potential supervisor in a job interview why it took 12 years to earn an Associate's Degree in general studies. Later, Rothrock explains why, as an adult, it's better to be a comic book fan than a "sports nerd." "Your favorite comic book hero will never let you down the way your favorite Eagle will," Rothrock quips. Tyler of Rothrock is available on Bandcamp.com.